Most avid gardeners have planted the veggie essentials in abundance, but what about the forgotten veggies and those varieties that look a little different from the usual choices? There is a surprisingly long list of what are considered “unusual” veggies, but below are five of the strangest, most delicious ones that you’ll want in your garden. If you’re going for the “wow” factor in your veggie garden, then Romanesco broccoli is the plant for you. Its intense, bright green fractals of broccoli are stunning. It is similar to cauliflower in terms of care. For best results, be sure to keep the soil moist and plant in a spot with full sun. Keep romanesco broccoli fed with Espoma’s Garden-tone. You can eat this stunning broccoli in a number of ways: raw in a salad, steamed, or grilled. Hardy in Zones 3-10. Jewel-toned colors like yellow, purple and red make for a fun pop of color for this classic favorite veggie. Choose rainbow carrots to add a variety of color to salads, sides and stir-fries. Plant seeds in late summer for a harvest that can be enjoyed on autumn days and even for Thanksgiving dinner. Straight roots need light, loose soil so sow carrot seeds in deep, well-worked soil in full sun. Grow in any region. Radishes are quick and easy to grow. Heirloom varieties of black radishes take about two to three times long to grow than regular radishes and tend to be spicier. Their crisp black skin and snow white flesh will make them an intriguing addition to any veggie platter. If radishes are too pungent, remove the skin before eating. Black radishes do need plenty of sun, so choose a spot where they can get 6-8 hours of direct sunlight. Feed with Espoma’s liquid Grow! for bigger plants. Grow in any region. These onions set their bulbs at the top of the plants. They taste similar to shallots, but with a more intense flavor. Stalks fall over when they get too heavy, allowing the bulbs to “walk” and plant themselves in a new space. One walking onion can travel as far as 24 inches and create six new onions. Plant bulbs in late summer (before the first frost) to harvest next year. Hardy in Zones 3-10. The vivid bluish-purple hues of Adirondack potatoes make them a stunner for any dish — especially mashed potatoes. They taste like regular potatoes and get their unique coloring from anthocyanin. There are many varieties including some with a marbled blue and white interior. Plant potatoes in fall to get a head start on a spring harvest. Grow in any region. If you’re looking for the basics, learn how to plant veggies in containers! The changing color of leaves is one of the best performances of fall. Trees all over are shedding their summer greens and bringing in their vibrant reds, oranges and yellows. With it comes the magic of fall, the lower temperatures and cool-weather festivities for everyone to share. Fall is the perfect time to get trees in the ground, so what are you waiting for? Add some fall color to your garden to keep the vibrancy radiating throughout the season. There are hundreds of trees that produce amazing fall color, but these five are known for their incredible transformations. This fall classic brings the right amount of fall color to any landscape in every season. Throughout the year, this tree has a touch of red on it. During the fall, it opens with vibrant reds and wonderful yellows. Red maples are a fall favorite, which everyone seems to enjoy. Plant in zones 3-9 and watch this tree grow. The variety you choose will determine the variety of colors. Some Japanese maples stay red year-round, while others transition with each season. With those varieties you could see green in the summer, intense reds in the spring and yellows and orange in the fall. Plant in zones 6-8 for your trees to thrive. Finishing off the maples strong, the leaves of this fall standout can form a complete color wheel throughout the seasons. The foliage will change various shades of green in the summer, then to shades of yellows and oranges, to eventually land on bright red in the fall. Watching this tree complete the cycle is well worth planting it in the yard. Plant anywhere in zones 2-10 and enjoy this tree every season. Known for making root beer from its roots, sassafras is more than just sweet. Sassafras will exceed your expectations for fall colors with its gorgeous display of purples, reds, oranges and yellows. Better yet, you will enjoy the sweet scents that emit from the limbs year-round. Plant this hardy tree in zones 4-9 and welcome fall to the yard. One branch of this tree can contain many shades of fall color, which makes it a contender for our fall favorites. You will find shades of orange, yellow, purple, bright red and scarlet foliage decorating this tree. The variety that will provide the best fall coloring is ‘Autumn Cascades’. It is a weeping variety, which makes it all the better for that perfect fall look. Plant in zones 4-9 and watch your tree grow to 30 to 50 feet high. Make sure you keep the fall colors vibrant and full with Espoma’s Tree-Tone. It’s easy to help your garden thrive when there is something beautiful to look at. Spring and summer seasons make this easy to do with their gorgeous floral blooms. Did you know that Autumn can have equally as attractive plants? Even the simplest shrubs and trees make great additions to fall gardens, bonus points if there’s fall fruit involved. We’ve rounded up the top trees and shrubs that will provide year-round enjoyment and fresh fall fruit. This deciduous tree gets its name from the blue-green pinnate leaves and white flowers that bloom in the spring. Mountain ash truly dazzles in autumn, turning into a blazing purple and red. The white flowers transition to shiny pink berries that stands bright against its foliage. And despite the name, mountain-ash (Sorbus) are very different types of plants than ash and are not attacked by emerald ash borer. Hardy in Zones 4-7 and feed regularly with Tree-Tone for strong roots and trunk. Crabapple trees offer beautiful hues. Varieties can include colors of burgundy, purple, red, orange, green or yellow. As the crabapple transitions into autumn, the fruit really begins to show. It transitions well into the winter, when birds will happily take care of the fruit. Hardy in zones 4-7 and feed regularly with Tree-Tone for strong roots and trunk. While you might not think twice about this shrub in the spring or summer, it shines in autumn. Its tiny pink flowers transform into brilliant ruby-violet berries that stop people in their tracks. This autumn shrub will give your garden something to talk about. Hardy in zones 5-11. Use Plant-Tone for beautiful berries. This tree may be small, but it certainly is mighty. Even after the foliage falls in the autumn, the bright red berries remain, making it look like a red flowering tree. The berries on this tree aren’t large, but they last through a cold winter – unless the birds get them first. The Possumhaw is tricky – it ‘prefers’ acid soils but can ‘tolerate’ alkaline. Hardy in zones 5-8 and feed regularly with Holly-Tone for strong roots and trunk. Stunningly bright in the autumn and winter, this show stopping shrub is the perfect edition to your garden. Vibrant orange fruit pop out from behind the foliage. The fruit thickly covers top to bottom on this plant. This shrub is tall and typically used as a hedge. Hardy in zones 6-9 and feed regularly with Holly-tone for radiant blooms and fruit. This low-key shrub in the spring and summer saves it’s best for autumn and winter when the small yellow flowers transform into purple-red fruit clusters. They are shade tolerant and can last well into the winter. Hardy in zones 2-7 and feed regularly with Plant-Tone for gorgeous blooms and tasty berries. Want to know how to fertilize trees and shrubs? Let Laura from Garden Answer show you how! Laura from Garden Answer demonstrates how to fertilize a tree using Espoma’s Tree-tone. The slow release formula provides a long lasting nutrient reservoir to feed the entire tree, leaves, trunk, and roots. Savvy gardeners are known for not letting anything go to waste. They are the compost kings and queens. They are smart about how they water. They use every inch of their garden to plant something amazing. So when it comes to seeds, why would that be any different? Saving seeds for vegetables is simple and wallet-friendly. It allows gardeners to be sustainable within their own garden. Saving seeds is easy to do. Its three simple steps: harvest the seeds from the vegetables, dry the seeds and store the seeds. Of course there’s a little more to know, but it’s truly that straightforward. Depending on the vegetable you want seeds from, there’s a little bit of washing to do too. We have outlined three popular vegetables to get you started. Peppers are the easiest vegetables to get seeds from. When they have changed colors and are ready to eat, the seeds are ready as well. Cut the peppers open, scoop out the seeds onto a ceramic or glass plate and lay them out to dry. Make sure the seeds are lying flat, not stacked on top of each other. Twice a day move the seeds around to ensure they aren’t sticking together. When they break, not bend, in your hand they are ready for storage. Be sure to use ceramic or glass as the seeds will stick to paper. At the end of the season, pick off overly ripe cucumbers and bring them inside. Cut the cucumber open lengthwise and scoop out the seeds. To get the excess goop and coating off, rise and swirl seeds in a sieve gently. Spread them on wax paper to dry. Mix them occasionally to ensure even drying. Store when the seeds feel rough but not slippery. Lettuce plants need to flower before you can harvest their seeds. One lettuce plant can produce a lot of seeds, so you don’t need to worry about all of them. When the flower heads are dried out and have puffs of white, the seeds are ready to be harvested. Pinch off the flower heads and collect them in a bag. Bring them to a table and break them open so the seeds fall out. Some of the flower may stick to the seed, it is fine. It won’t disrupt the germination of the next season. Allow the seeds to dry and store. Airtight containers work best for all seeds described. If taken care of, these seeds can last a few years! Keep them at room temperature and they will be ready to go when planting season begins. When next year rolls around, start your seeds indoors and use Espoma’s Bio-tone Starter Plus to grow bigger and better versions of your favorite plants. As summer comes to an end, rustic autumn colors sweep in as the season’s vibrant blooms begin to fade. This year, fall is going to be hot, so keep your hand shovels at the ready. Fall Flower Power is ready to kick some blooms into your garden. Find where you need to include some fresh new flowering plants. Utilize plants with late bloom times and continue to feed regularly with Espoma’s Bloom! to ensure your flowers are reaching maximum potential. The color variety available for garden mums makes this one of our favorites for fall flowers. Mums can come in autumn hues of orange, gold, russet and bronze which will keep your garden looking great all season long. Perennials will last through the winter and will bloom again next year. Plant in full sun in Zones 3-9. Grows 18 inches tall. Celosia bring incredible color and vibrancy to your garden. They offer flowers in different shapes and colors from the brain like cockscomb to the showy plume varieties that produce feathery flowers that look like flames or puffs of cotton candy. They bloom until the first frost. Plant in full sun. Grows up to 3 feet tall. Daisy-like blossoms, with a resemblance to a star, will give your garden a fresh new shade of color. Blossoms in pinks, purples, blues and whites emerge in late August to extend the beauty. Plant in full sun in USDA Plant Hardiness Zones 4-8. Grows 5 inches tall. These rounded, flat-faced flowers bring a variety of bright colors, and some autumn colors, to balance out your garden. Pansies are versatile and can be planted in your garden, a container or planting beds. They bounce back after a bit of light frost, which does well in an autumn garden. Plant in partial to full sun. Grows 6-12 inches tall. This queen of climbers is a great vine to add into your garden. Known as the Sweet Autumn Clematis, the Clematis terniflora, blooms well even in the shade. It has masses of white blooms and a strong fragrance to enjoy. They bloom in late summer and into autumn. Plant in partial to full sun. Can climb up to 20 feet. Stuck on what else to do for your garden this fall? Check out our Fall Garden Checklist to get you in the right direction! August is here, summer is coming to an end, and you are just weeding and waiting. You’re in the summer slump. Time to snap out of it! Get your garden thriving with fresh fall vegetables in your succession garden. You have a time left before the first frost comes around and you hang up your gardening tools. Don’t know what to plant? We can help with that! Give veggies a head start by planting seeds indoors. 1. Collards – As one of the most cold-hardy plants, collards are great for fall weather. Collards are able to handle temperatures as low and the high teens. For a fall harvest, count back six to eight weeks before your first frost. This allows for sweeter leaves during a fall and winter harvest. 2. Kale – As part of the Brassicafamily, kale grows well in cool weather. Count back six to eight weeks before the first frost to start planting for a fall harvest. Depending on your USDA zone, you can continue planting into the fall. Maintain moisture in the leaves to ensure they are tender. Packed full of nutrients, kale is a great fall vegetable. 3. Lettuce – With different varieties, you can mix and match the lettuce in your garden. Count six weeks before the first frost to start planting. You can sow every two weeks up to the first frost for an extended crop. You can continue after the frost by using a hardier variety, such as romaines or butterheads. 4. Mustard Greens – Mustard greens have seeds that are easy to plant straight into your garden. They germinate well and grow quickly. Count back three weeks before the first frost to start planting. If you want a more successive harvest, plant every three weeks starting mid-summer. They do not grow well in summer, so starting them now is perfect for your fall flavors. 5. Beets – Beets love cold weather. In the southern states, they can be grown all winter long. In the northern states, make sure the soil is cooler (around 41F). Thinning your rows allows your beets to spread out and grow fuller. You can use the greens you thinned for a good salad mixing. 6. Turnips – Planting turnips in the fall makes the plant tenderer and sweeter than the spring. Sow your seeds in the late summer, early fall months to get a fall harvest. Start your turnips with seeds as they do not transplant well. Remember to keep your plants watered well and fertilize regularly with Espoma’s GROW! Liquid Fertilizer. Don’t Stop Believing – Your Garden Reinvented! So you just finished harvesting all of your crops, you have tomatoes in every drawer in your kitchen and your garden is cut back. What now? With enough time left before the first frost, you can still get another crop in the ground. Whether you are a planner or a fly by the seat of your pants kind of gardener, succession planting is something to try. Harvest Crop – Using the same plot for another set of vegetables after harvest. When a crop is finished, plant another, with a shorter maturity date, in its place. Leafy greens, followed by potatoes, are a great example of harvesting and replanting. Companion Crop – Plant two or more crops with varying maturity dates around each other. After the first crop is harvested, your garden will continue flourishing. Radishes next to cucumbers are great companions. Radishes will be harvested before the cucumbers start to produce too much shade. Staggered Crop – Plant the same crop every few weeks in order to not be bombarded by the entire crop at once. Tomatoes and peas are crops you’d want in small batches through the whole season. Same Crop – Plant the same crop with different maturity dates. Seed packets will display the days to maturity on the packets. Broccoli is an example crop with various maturity dates. Now you know what succession planting is, here are a few steps to send you in the right direction. Plan Accordingly – Growing based on maturity can be a little tricky if you aren’t planning for your region. Make sure to check the seed packet or plant tag to find out how long the plant will take to mature and what temperature it will grow best in. Make sure you have enough seeds to keep you going through the season. Plant Transplants – Speed up the growing process by starting seeds This will allow you to harvest and quickly plant to keep your garden at optimum level all the way up to those winter months. Or, purchase plants as seedlings from your local garden center. Feed Regularly – Add Espoma’s Garden Tone to the soil between plantings to keep the soil rich and crops thriving. Don’t Hesitate – As you see plants starting to reduce or cease harvest, don’t hesitate to pull them to make room for a new crop. Rotate Crops – Try not to plant the same vegetable in the same spot year after year. 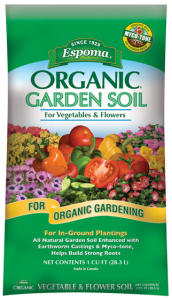 This causes the soil to lose essential nutrients and increases the likelihood for diseases to develop. Rotate crops every three years. Succession planting can ensure your garden is in working production all season long. Learn what veggies it’s not too late to plant. https://www.espoma.com/wp-content/uploads/2017/07/root-vegetables.jpg 2337 3500 Jourdancole https://www.espoma.com/wp-content/uploads/2018/11/espoma-organic-logo.png Jourdancole2017-07-25 12:30:172019-01-31 13:55:17Don’t Stop Believing – Your Garden Reinvented!